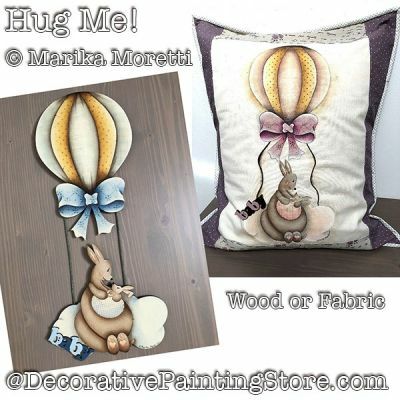 Hot air balloon and mama and baby kangaroos painted on wood plaque or fabric pillow. Colors provided for boy or girl. Drawing approx. 8"x16".